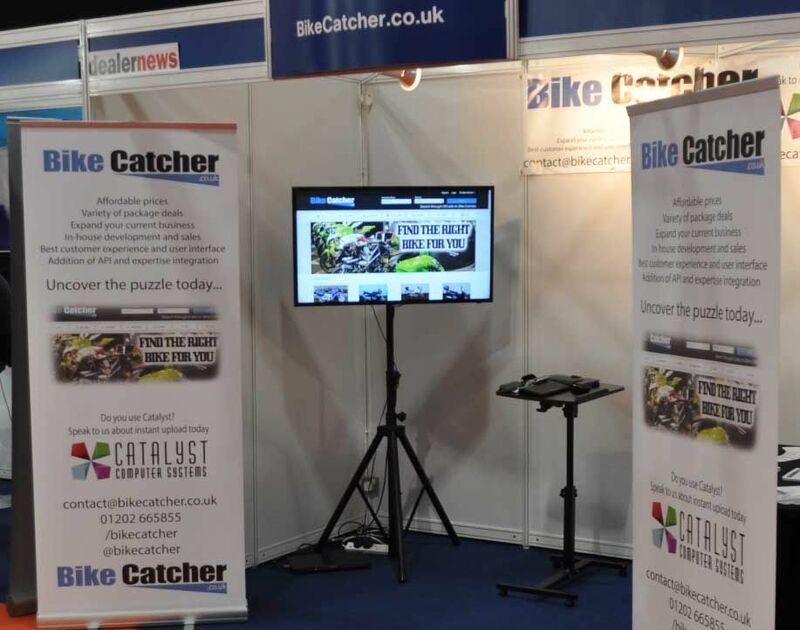 BikeCatcher.co.uk went live whilst exhibiting at Motorcycle Expo over the weekend 18th-20th January 2015 and it was a great success. Stand A37 was where all the magic happened and although there weren't any flying bikes, or biking wizards making an appearance, there was still a great energy surrounding us and the product we love. On day one, 24 hours before launch of Bike Catcher, we had 4 major dealers come onboard and they uploaded a combined selection of 350 bikes. We got to meet an individual from each dealer and they all gave us great feedback on the site, including a few added extras they would like to see. So, the team at Bike Catcher being as great as we are, got straight on in and all of the implications are now in place. Towards the end of the week, we signed another 3 major dealers across the UK and over the next few days we will see our number of bikes almost double. We’ve also come up a with a few great ideas to benefit our smaller dealers, but will be releasing information on that soon. Our public promotion will begin in a few weeks, but in the mean time we are keeping track and improving our SEO daily. After just two days, we were appearing on the second page of google. We’ve completely raided the first page of ‘Bikecatcher’ and we couldn't be more proud. Lastly, on a quick note, we are in discussions with ‘Deep Blue Systems’ and ‘True Track Software’ regarding data feeds and speedy upload to Bike Catcher. So, if there weren't already enough excuses to love Bike Catcher, we’ve found two more. Don't forget to ‘like’ us on Facebook to still be in with a chance of winning a free lifetime gold package. Until next time, have a great weekend and be safe on the icy roads.